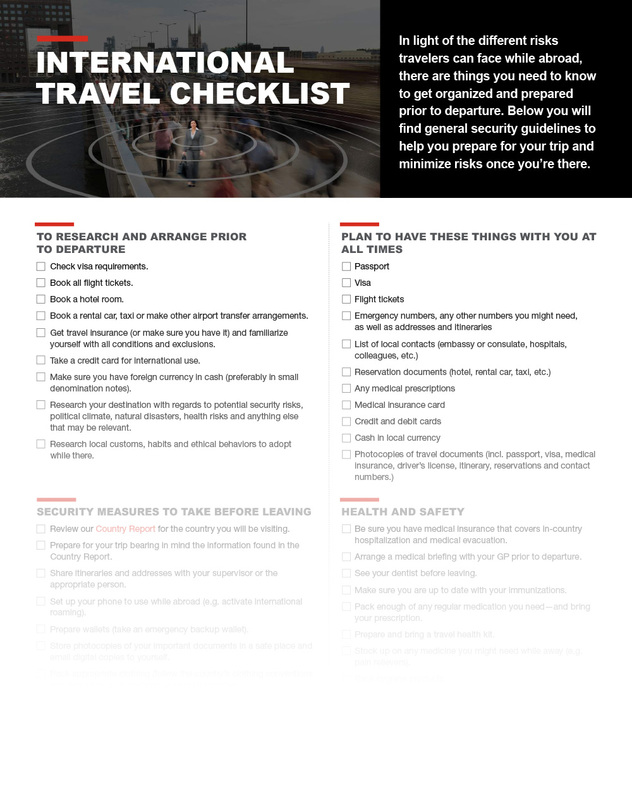 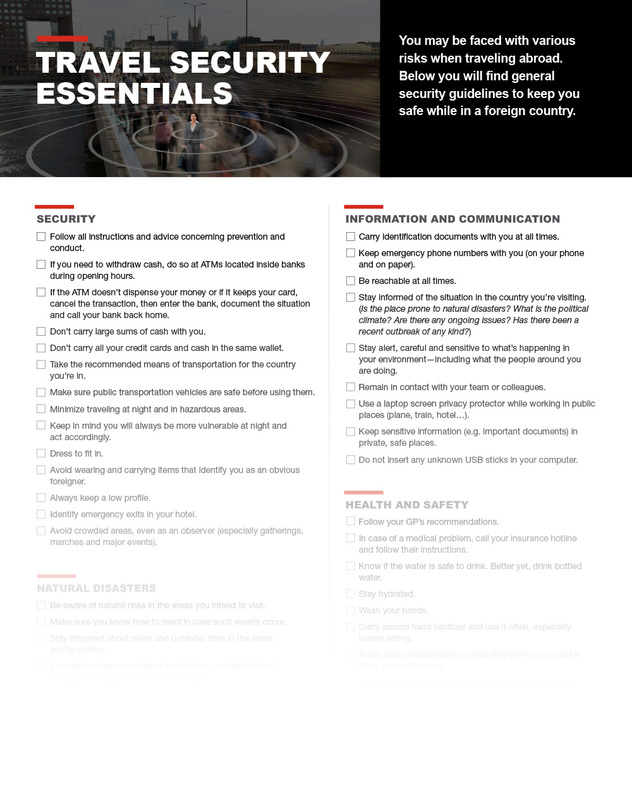 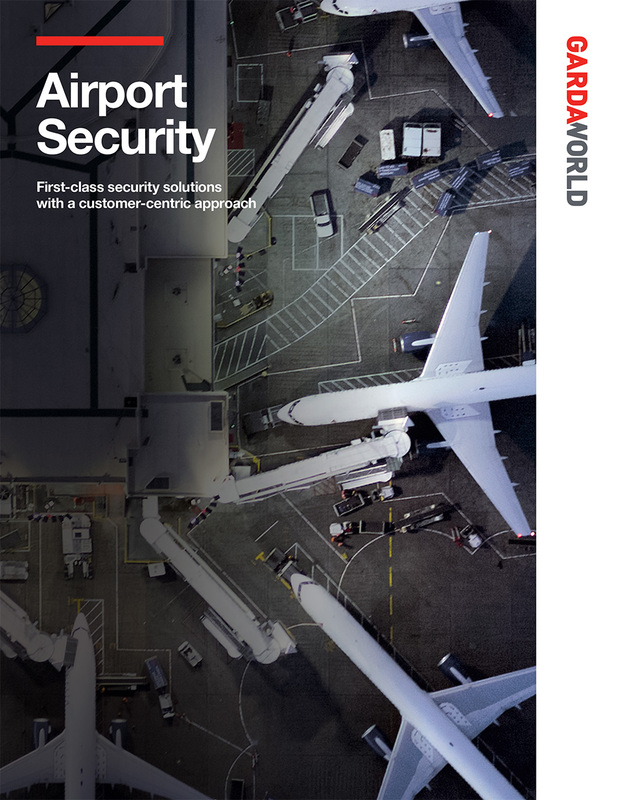 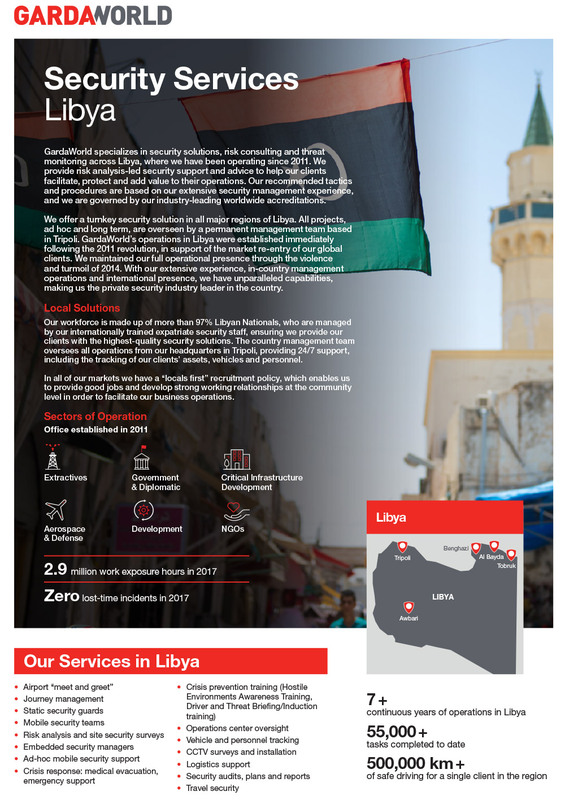 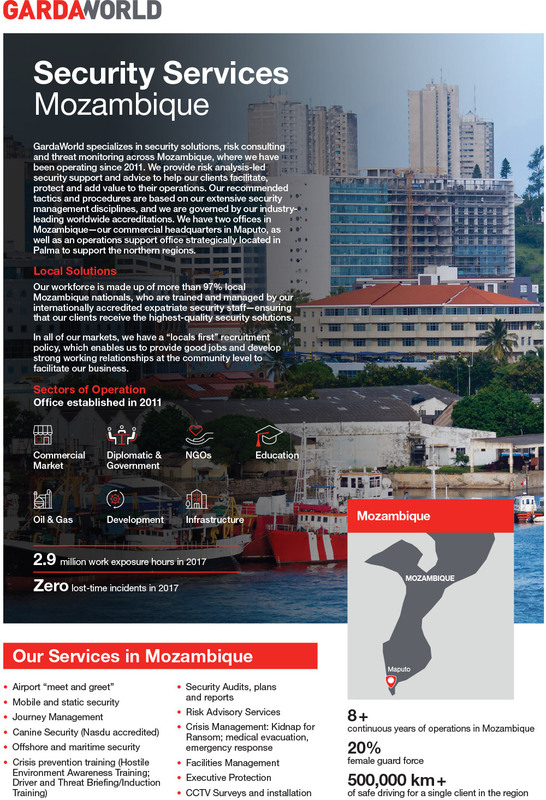 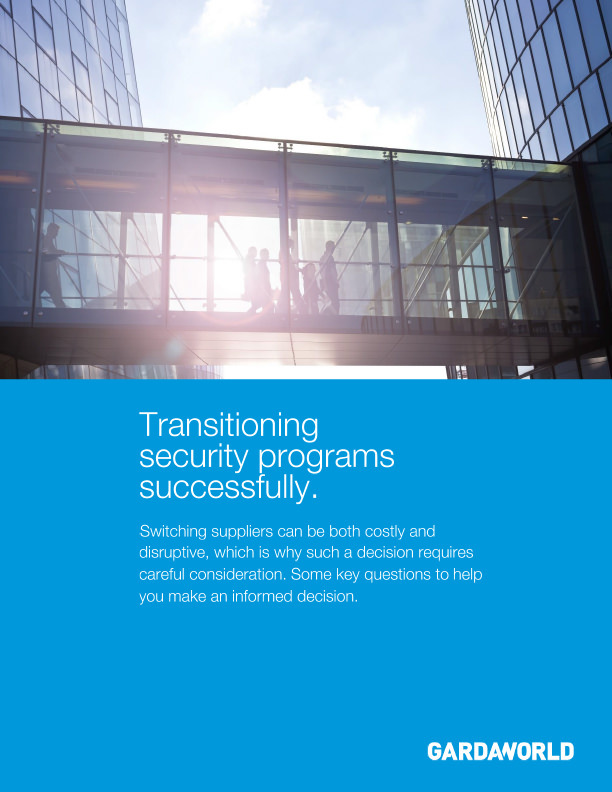 Browse our collection of white papers, case studies, reports and security awareness maps from our seasoned security experts to stay informed on the latest thinking on global security. 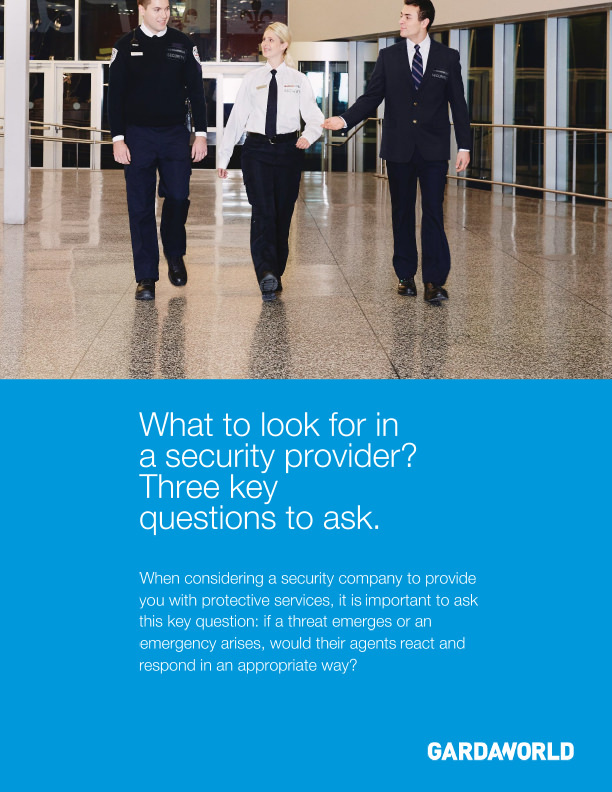 From foot patrols to emergency response to everyday customer service, condo security guards play a vital role to condo residents and the larger community. 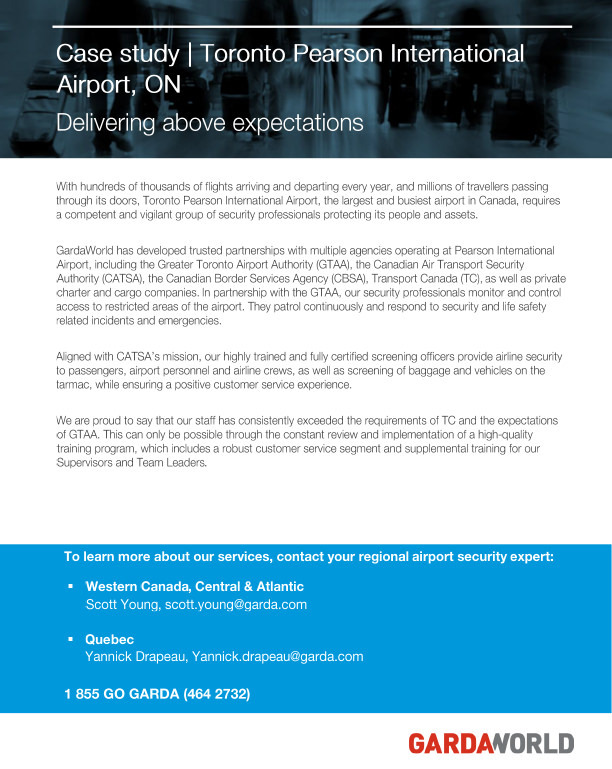 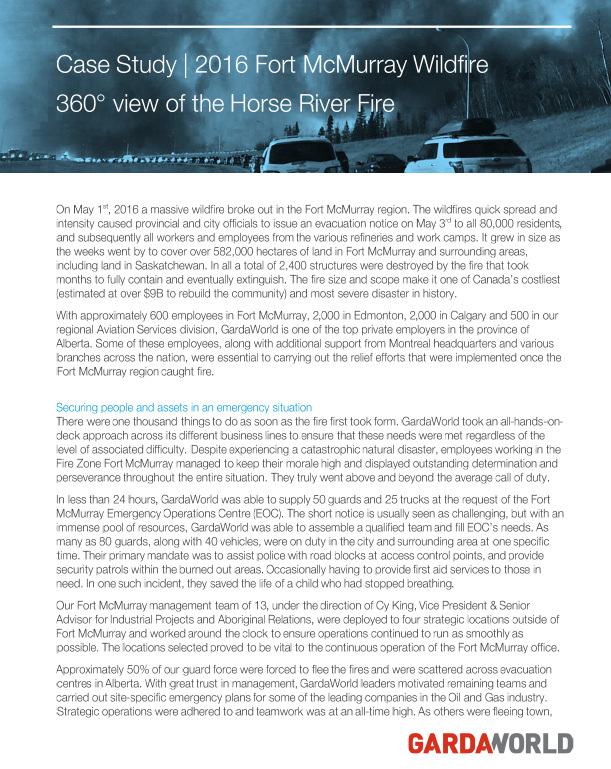 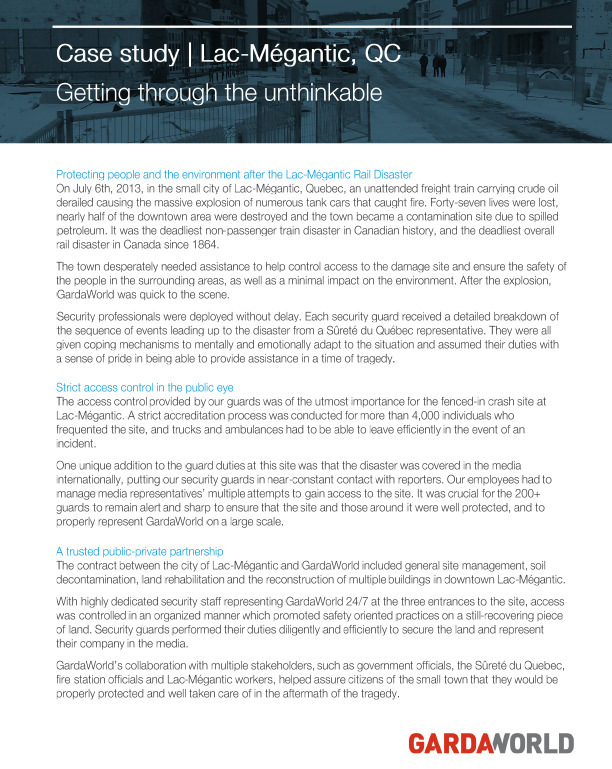 Read about the expertise we’ve gained from 25 years of providing security for luxury condo properties. 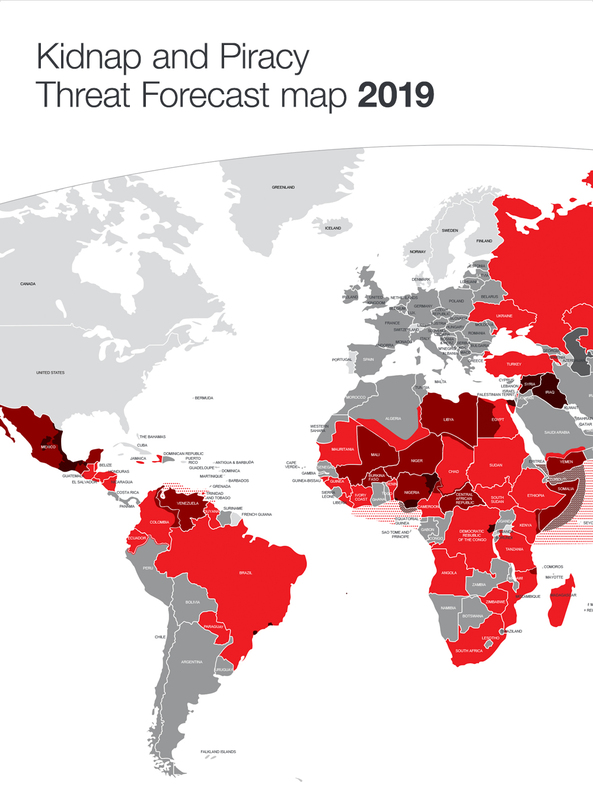 In January 2011, the social and political climate in various Arab countries was rapidly deteriorating. 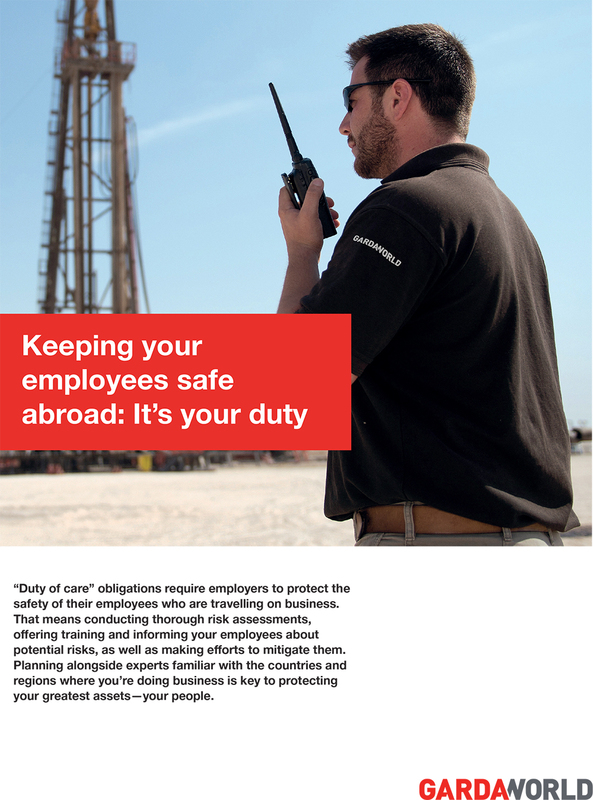 This led to the need for an emergency evacuation for certain foreign workers in Cairo, Egypt. 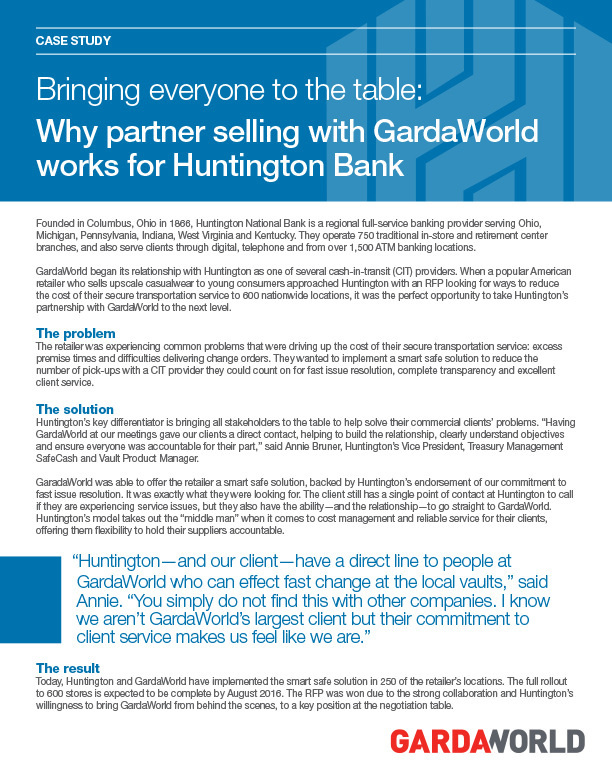 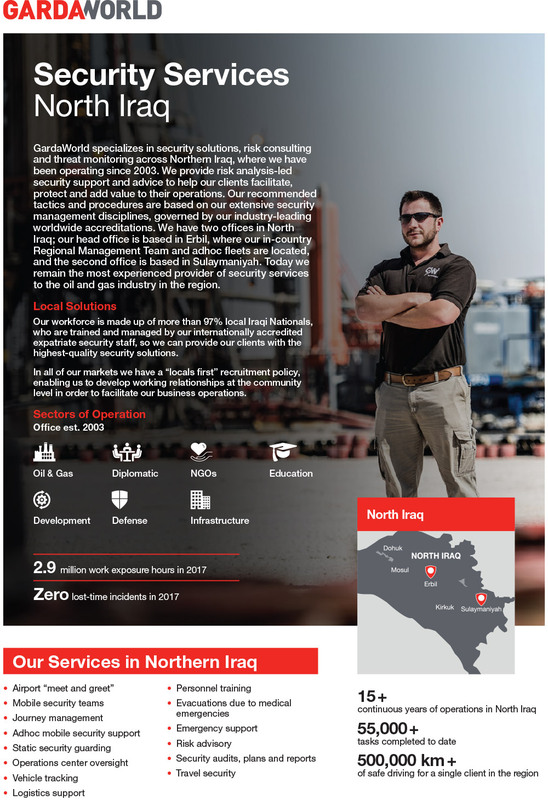 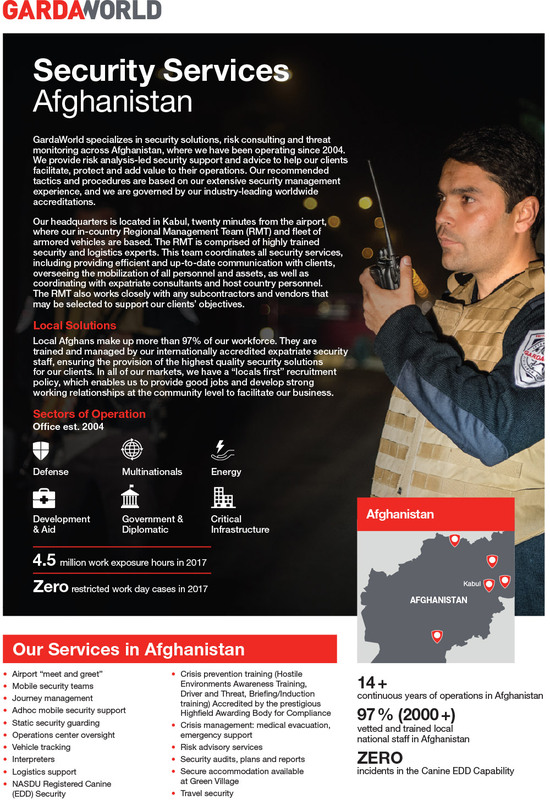 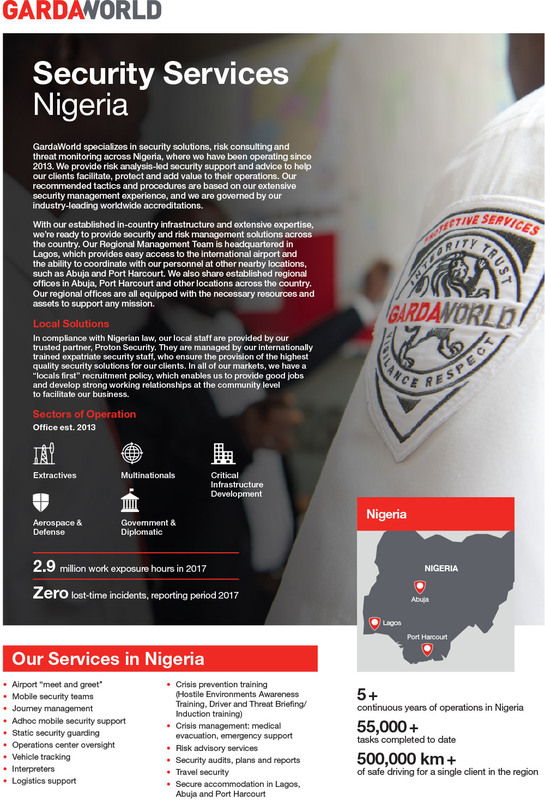 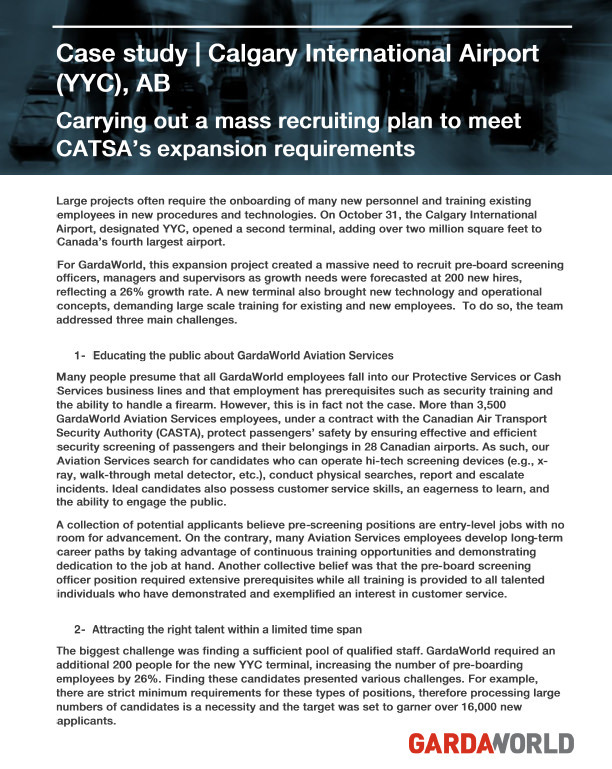 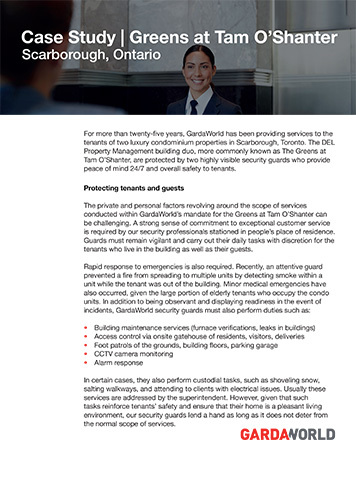 Thankfully, GardaWorld was there to facilitate the successful evacuation of one of their client’s employees and their families. 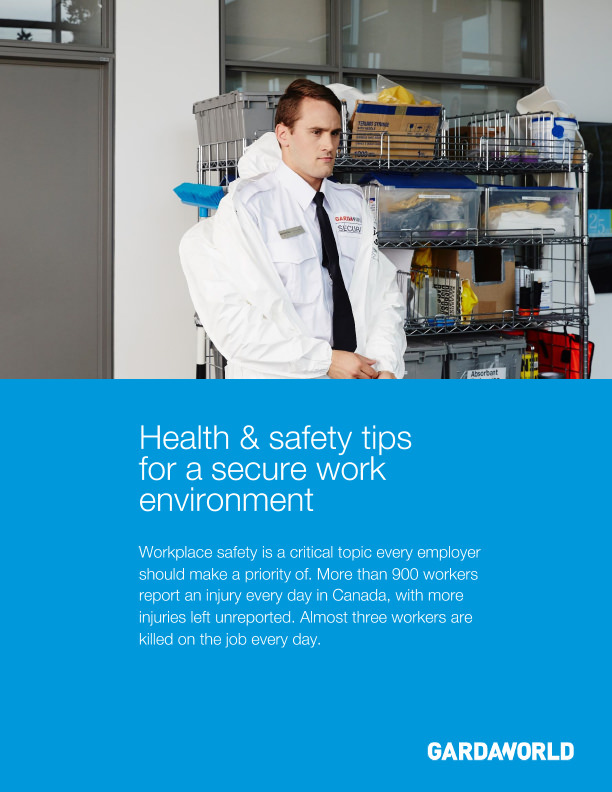 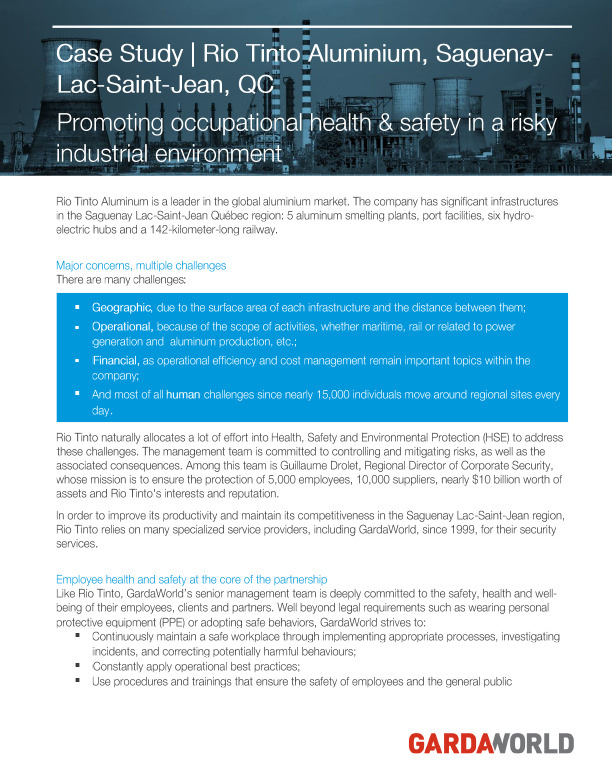 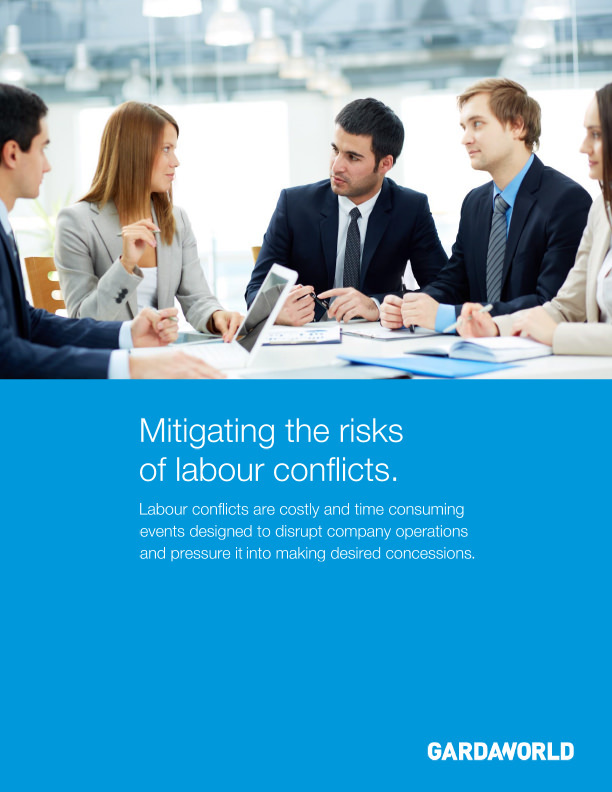 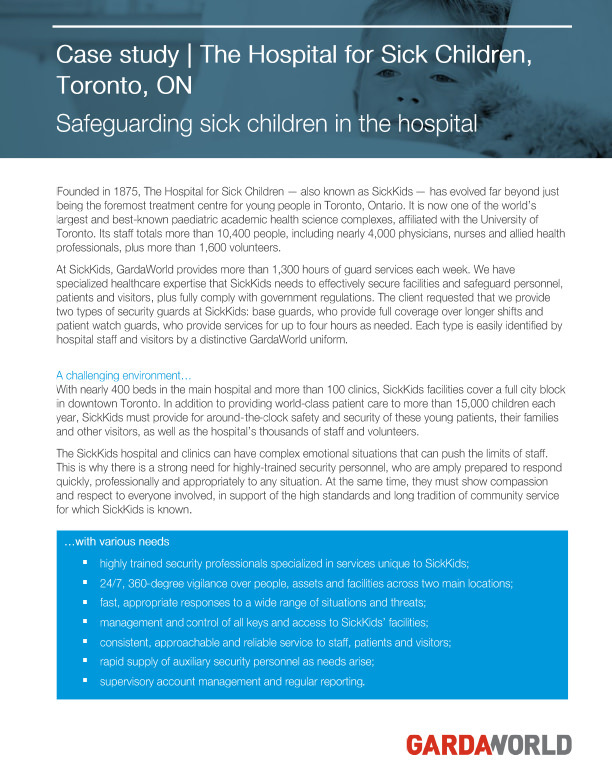 Promoting occupational health & safety in a risky industrial environment. 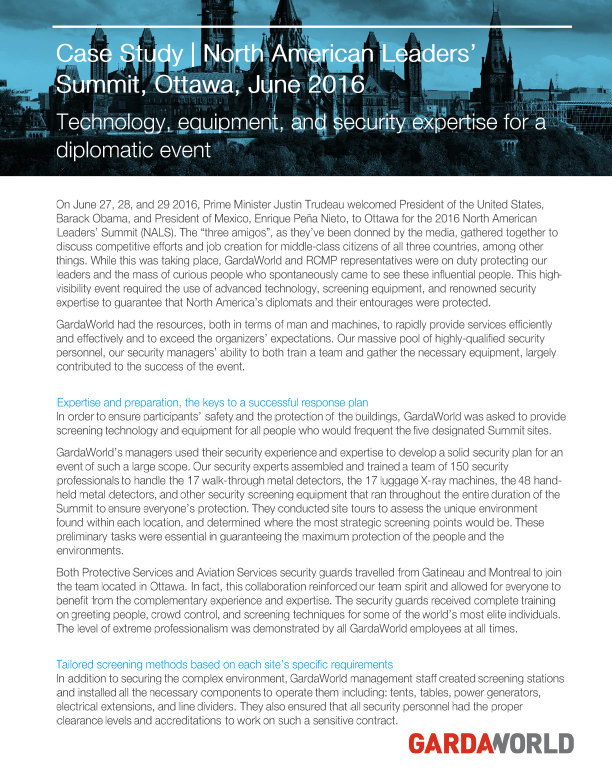 Technology, equipment, and security expertise for a diplomatic event. 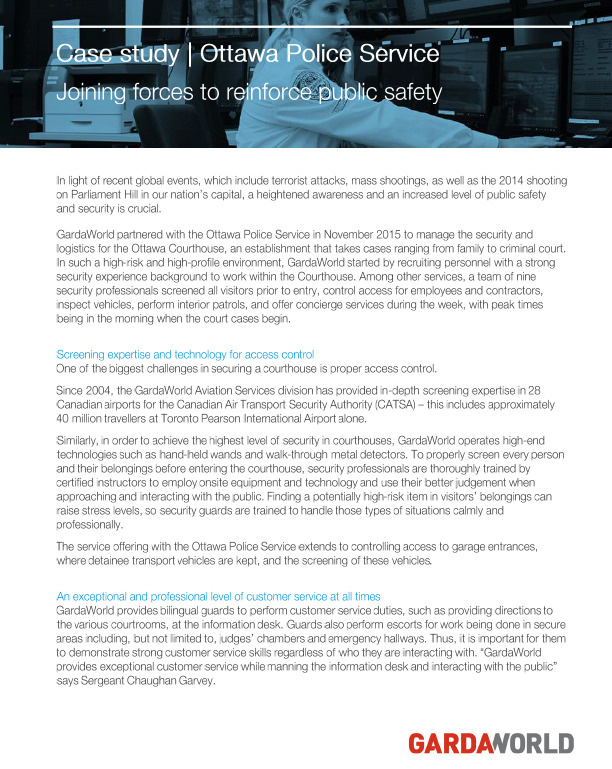 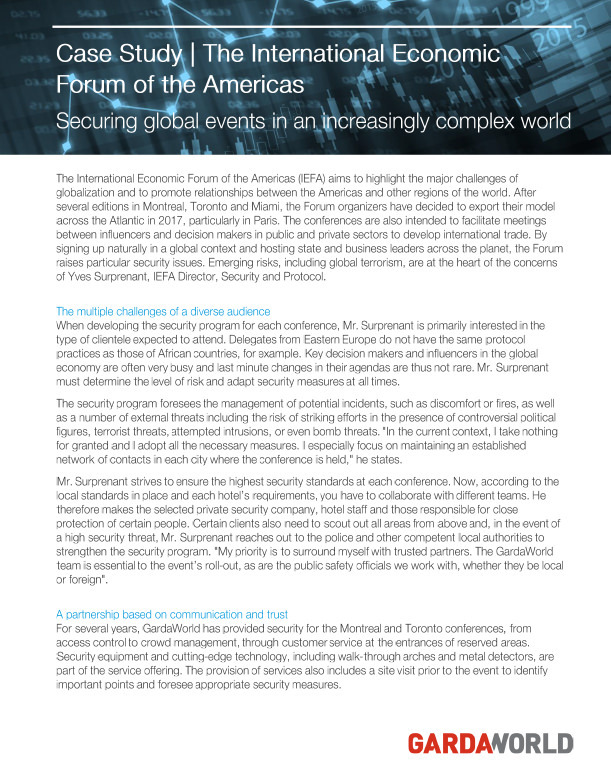 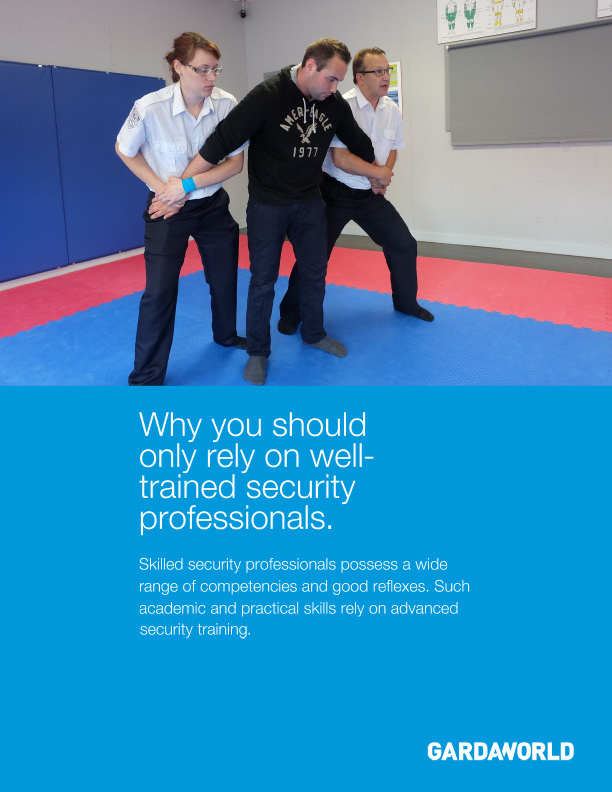 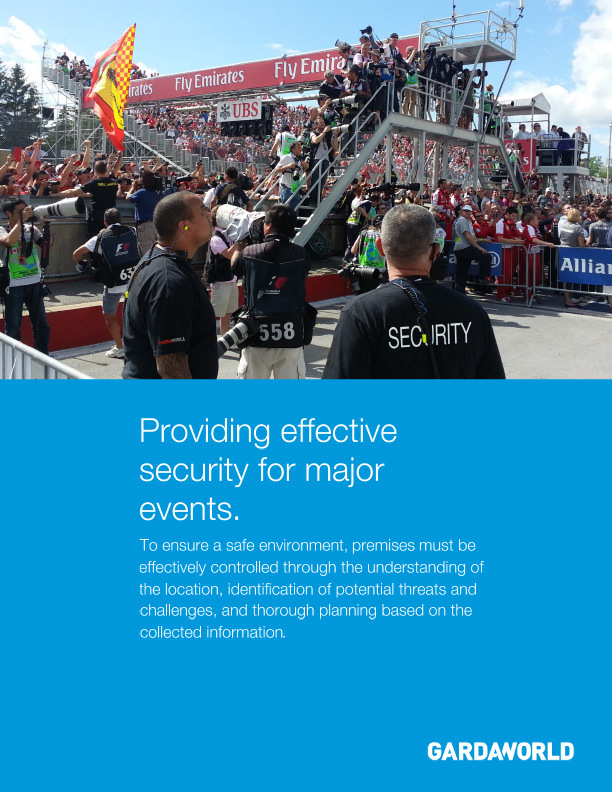 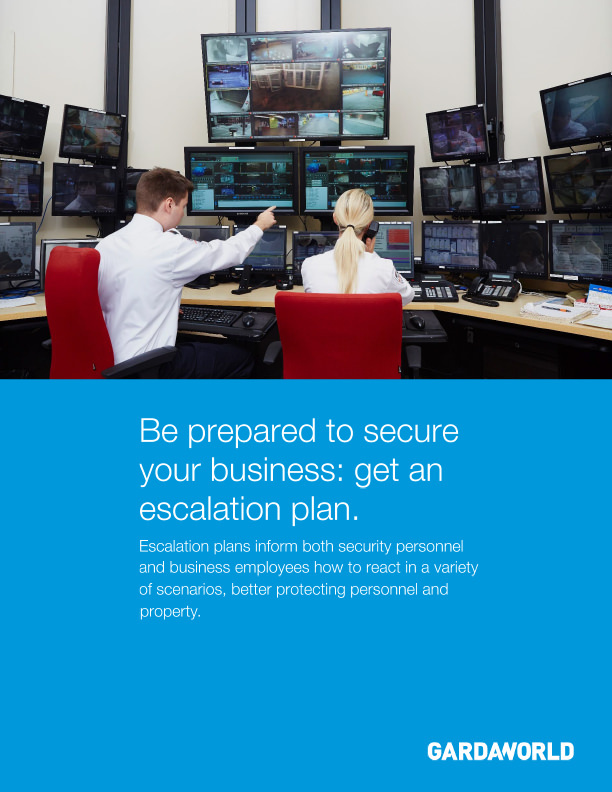 Securing global events in an increasingly complex world. 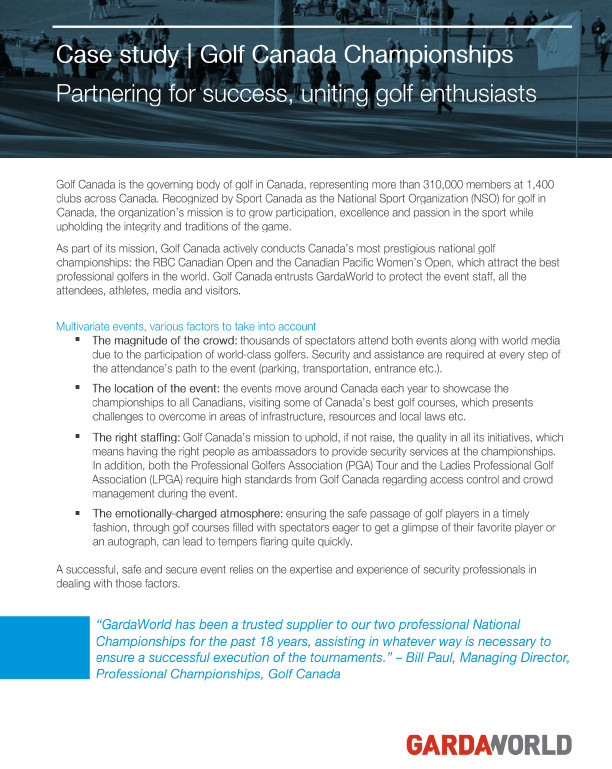 Partnering for success, uniting golf enthusiasts. 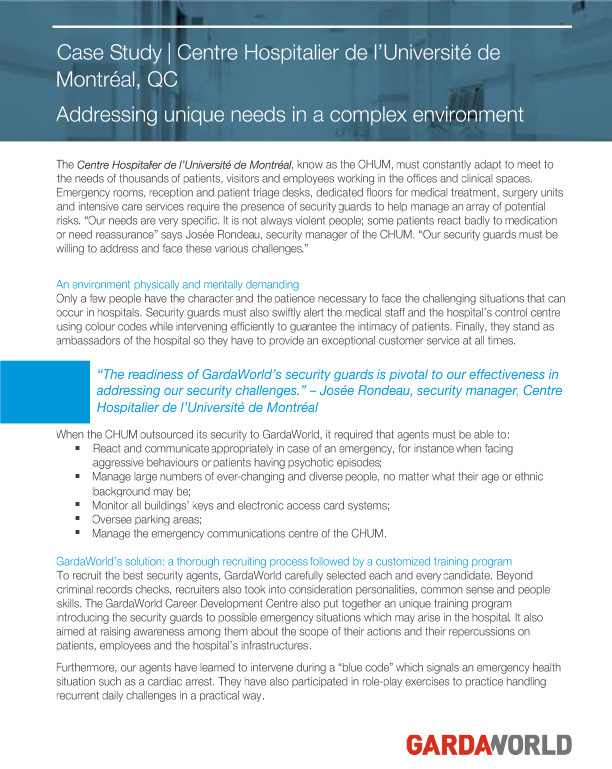 Addressing unique needs in a complex environment. 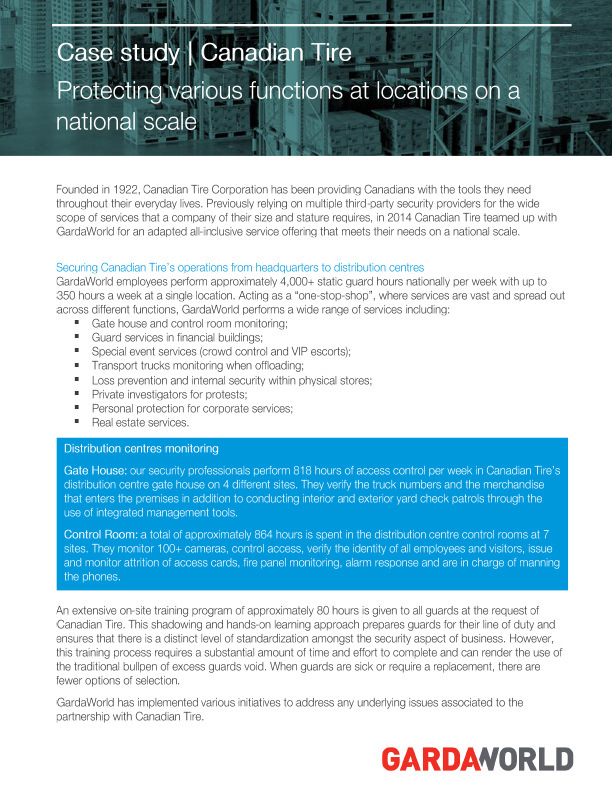 Protecting various functions at locations on a national scale. 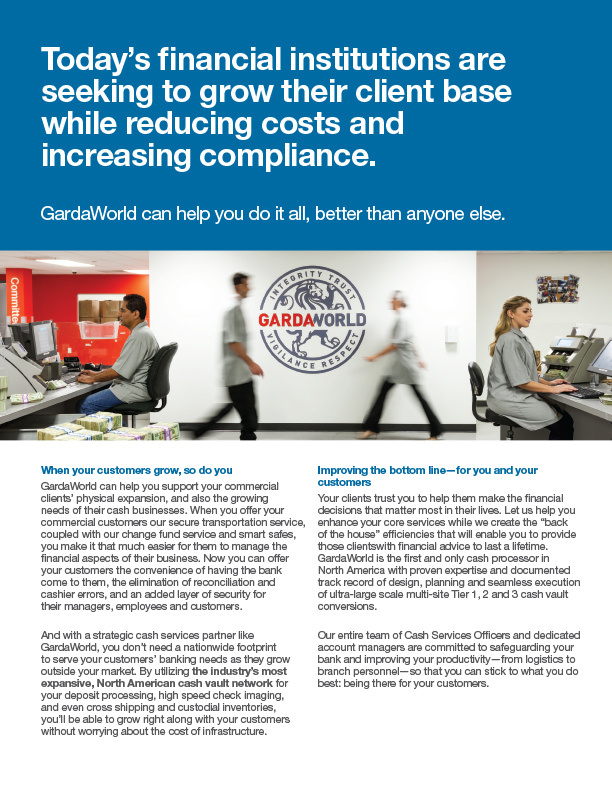 Today's financial institutions are seeking to grow their client base while reducing costs and increasing compliance.